A division bench of Justice Ranjit More and Justice Bharati H Dangre passed the order inside their chambers in the presence of Zinta, Wadia and their lawyers. Wadia’s lawyer Abad Ponda said the FIR had been quashed by the court. Sources said the matter was amicably settled and then disposed of by the court. 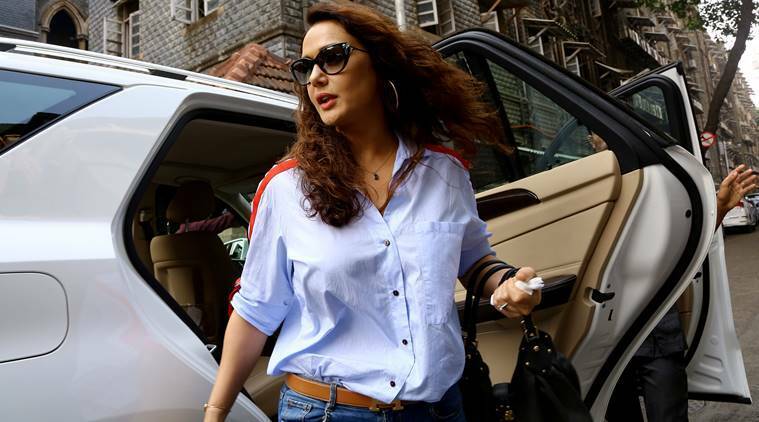 THE BOMBAY High Court on Wednesday quashed an FIR lodged against industrialist Ness Wadia after actor Preity Zinta had accused him of outraging her modesty in 2014. The incident had taken place at Wankhede Stadium on May 30, 2014, during an Indian Premier League (IPL) match. In June 2014, Zinta had lodged molestation and intimidation charges against Wadia with the Marine Drive police station in south Mumbai. The two are co-owners of Kings XI Punjab IPL franchise. According to a senior official, the chargesheet filed in February 2018 against Wadia is under sections 354 (assault or criminal force to deter public servant from discharge of his duty), 506 (criminal intimidation) and 509 (word, gesture or act intended to insult the modesty of a woman) of the Indian Penal Code.